Trea Renta Fija Selección is a fixed income fund that aims to achieve attractive lower volatility returns through a credit sensitive approach to more than one-year duration and B+/BBB rated bonds, at the same time, the fund seeks to generate returns above inflation. At most 10% of total exposure could be invested in non-rated bonds. The fund invests opportunistically across the full spectrum of global fixed income sectors, including the government and corporate debt markets of developed and emerging economies. At least 90% of total currency exposure will be in euros. Ascensión started out at Merchbanc, working in the M&A department, before moving to asset management in 2000. 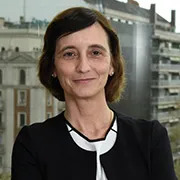 She was the head of fixed income at GesFibanc, founded by Carlos Tusquets, and has been Head of FI at TREA since 2010. Ascensión holds a degree in Business Administration from Universidad Comercial de Deusto and an MBA from IESE business school. 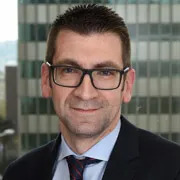 Before joining Trea, he was Head of the Fixed Income department at Catalunya Caixa Inversió from 2014 where he started in 2006. Bachelors on Economic and actuarial science from the Universidad de Barcelona. He holds a certificated from the International Investment Analyst (CIIA).